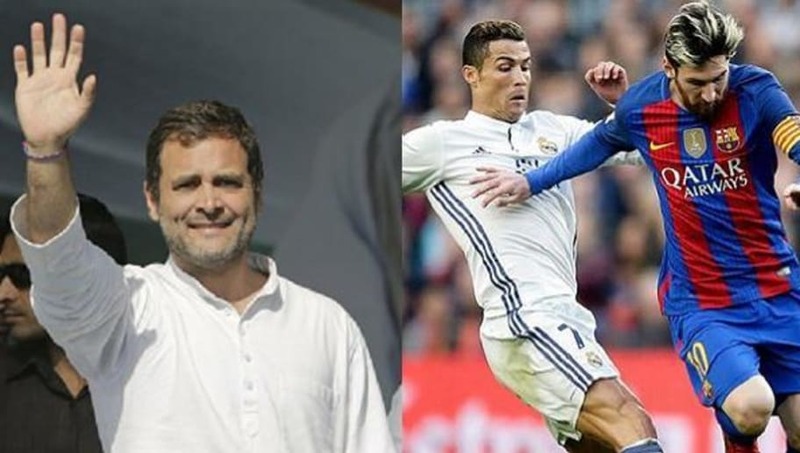 ​Indian national Congress leader Rahul Gandhi recently spoke in a 'Dialogue for Democracy' session in Manipur and revealed his appreciation for Juventus superstar Cristiano Ronaldo. In a rapid-fire round question, Gandhi was asked about his choice between FC Barcelona and Real Madrid. The 48-year-old was quick to point out, "Between ​Real Madrid and ​Barcelona, I am a Real Madrid fan." He then reiterated the reason why he was a Real Madrid fan as he continued by stating, "Until Ronaldo was there, I was a Real Madrid fan." Well, one thing is for sure, RaGa is surely not alone in that aspect. ​Former Real Madrid man Ronaldo and Barcelona legend Lionel Messi provided the world of football one of the greatest rivalries ever witnessed in the history of the sport. While Messi is breaking one record after another at Barcelona, Ronaldo chose to move to Italy with Juventus as he aims to conquer the third country in which he has played top class football. Rahul Gandhi, here, is an example of one of those fans who admired Real Madrid due to Ronaldo and have now moved on to admire the Portuguese maestro at Juventus.